Wondering How to Get Straight Teeth for Less? Only if the “less” is the amount you’re paying, don’t settle for less. 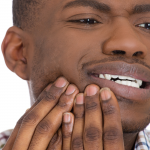 Have you ever wondered how to get straight teeth for less money? There are generally three reasons why people start asking themselves this question. As a child, you may have not had the opportunity to wear braces. Given the typical cost associated with orthodontic care for children and the long-term commitment to braces (some children may wear them for several years), many parents cannot afford them. 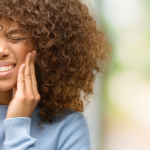 If your teeth have been out of alignment or crooked since you were young, you have probably considered ways to get straight teeth for less more than once over the years. 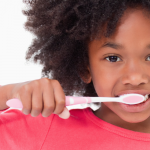 You might be considering how to pay less for straight teeth for a child of your own. Financially, braces can be a big responsibility for parents depending on how many children you have or what your socioeconomic status is. Giving your child the gift of being able to smile with confidence is something every parent dreams of though it may not always be the reality. If you’re concerned that your child’s teeth have grown in crooked, he or she may need teeth aligners. 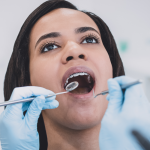 In order to learn how to push teeth inside naturally in order to straighten out their smile, you should consider a consultation with an orthodontist. It’s never too early to get evaluated. If you never had the chance to get braces, you don’t want your children to miss out on their chance due to limited resources or you are simply looking for additional information about what your options are for straightening out your teeth, Penn Dental Medicine is the place for you. Our orthodontics clinic offers services performed by predoctoral students and postdoctoral residents at a significantly discounted price. Overseen by the top regional dentists, you can be assured that you will receive the highest quality care for the lowest price around. No more hiding your smile behind your hand–no more wondering if that day could come. Penn Dental Medicine can make your smile come to life!